I am a big fan of weight lifting. It has a lot of benefits, my favorite of which is gaining muscle and looking good. To optimize muscle gain I switch up my routine every two to three months. 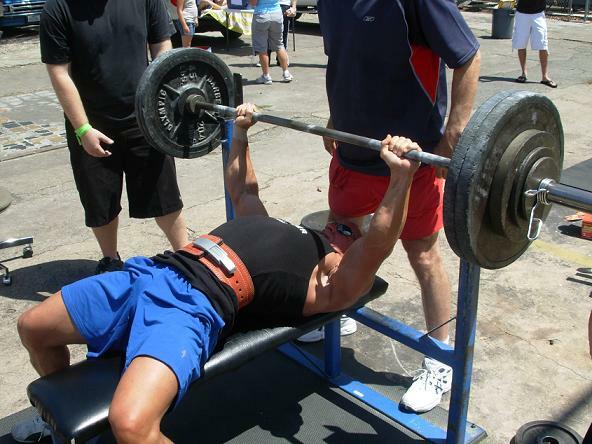 Today I switched back from dumbbell bench press to barbell bench press. I haven’t done BB bench since mid July. Since BB bench press is the standard for measuring strength I was curious to see what kind of gains I had made since July. Honestly I don’t remember how much I was benching then, so I was just hoping to put up some good numbers today. I was somewhat optimistic and decided to try benching 255 pounds for my first set. I was hoping for 6 reps which would mean my projected max bench press would be 301 lbs. I would have been satisfied with 4 or 5 though. So how many times was I able to bench 255? Twice! I wasn’t shocked that I couldn’t get 6 reps but only two reps?! Needless to say I was disappointed. I know that during my weight loss I had also lost some muscle, but last time I did BB bench I remember my projected max was 290 lbs. I can’t believe my projected max dropped further to 270 when I though I was getting stronger. So what do I do now? Some people when faced with disappointment give up and quit. Not me. I will double my efforts and try new strategies. It is very difficult to keep all of your muscle while dropping weight. Now that I am within 4 pounds of my ideal weight I can afford to start drinking protein shakes. I will make sure I get more sleep and try a few new techniques I heard about. I honestly think that just adding a post workout protein shake and the end of dieting will make a huge difference in my lifting. Soon I will be benching 300 no problem. I’m on a six-week mass- and strength-building workout plan that my trainer designed for me. It’s a 4-Day Split, with three days on, one day off. Day 1 is chest/bis, Day 2 is back/tris, Day 3 is shoulders and Day 4 is legs. Four weeks of heavy weights/lower reps (most exercises 6×6) followed by two weeks of lower weights/higher reps (most exercises 10×6). I have made some pretty impressive gains, particularly for a middle-aged, formerly obese woman who’s in her fifth year of maintaining a 65-lb weight loss. My ultimate goal is to bench press my body weight; I’ve been working on it since January and I think I can achieve it within the year. You might be able to find a plan like this online to follow; I find the organization of having a list of exercises in a specific order has been extremely helpful. I am glad to hear this is working for you. I think 6 sets is very high, most routines call for 3 to 5 sets per exercise. I think my routine is fine but my problem has been the fact that I have been dieting for the past year and a half. If I’m not eating extra calories, I have nothing to build muscle with.